Today, October 21, 2015, is Back to the Future Day. 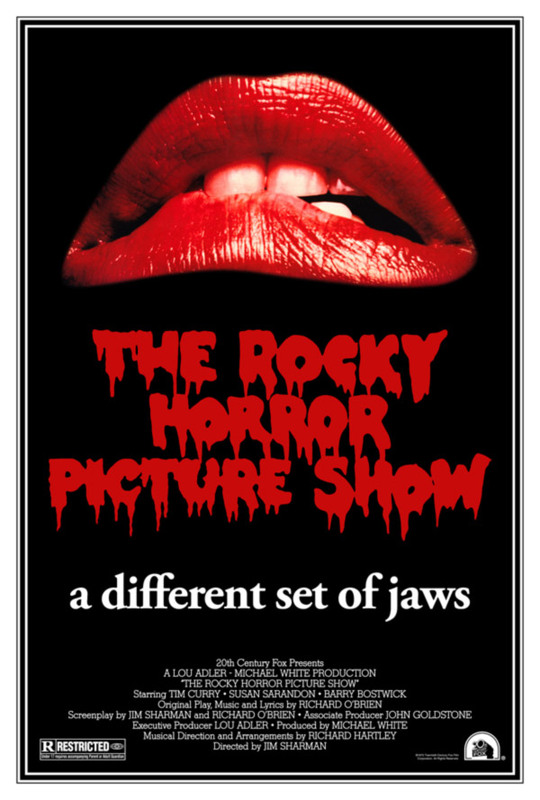 It’s also the date we’ll pay homage to another movie about time travel; The Rocky Horror Picture Show is the 1975 film adaptation of the British classic rock musical, The Rocky Horror Show, written by Richard O’Brien. Over the decades, a cult of fans has cheered for “lips” (Science Fiction, Double Feature) to usher in the fantastic tale of the wild and untamed Victor Frankenstein-meets-Count Dracula. Author Jeffrey Weinstock asserts that O’Brien’s reference to George Pal (and his bride) is a mistake, as Pal was the producer of When Worlds Collide and not its star. Ironically, this gaffe also happens to be a foreshadowing of the film’s central theme. “Worlds Collide” relates to the battle between the id and superego symbolized by the main characters in the movie. The film begins with Brad and Janet, a traditional, all-American couple suffering a flat tire in the middle of nowhere on a stormy night. When they knock on the door of a nearby castle hoping to use the telephone, they are taken prisoner (a la Jonathon Harker) by the occupant, Dr. Frank-N-Furter, an allusion to Bram Stoker’s Dracula. According to Freudian psychodynamic theory, the superego is the component of the personality composed of our internalized ideals acquired from our parents and from society (e.g. teachers). The superego works to suppress the urges of the id and tries to make the ego “behave morally.” It is relevant that Brad and Janet were on their way to meet Dr. Scott (their former professor) when they got the flat tire. In addition to basic psychodynamic theory, Frank-N-Furter serves as a case study for Transvestic Disorder, a paraphilia (sexual deviancy) characterized by recurrent and intense sexual arousal from cross-dressing (Sweet Transvestite). The condition may be associated with Gender Dysphoria (DSM-5). Dr. Frank-N-Furter reports that he’s from Transsexual (of the galaxy Transylvania), his planet sharing its name with the DSM-IV forerunner of Gender Dysphoria. The new DSM-5 diagnosis emphasizes the phenomenon of “gender incongruence” rather than cross-gender identification per se. The risk of Gender Dysphoria is increased in Dr. Frank-N- Furter since he’s sexually aroused by thoughts and images of “himself” as a female (autodynephilia). endless vaudeville revue. Fashioned after Dr. Frankenstein, he creates a simulation of a person in the form of Rocky Horror, who is intended to be a living symbolic arena for the acting out of sexual desires. Rocky’s central theme is the adolescent turmoil experienced when searching for sexual identity, and the role confusion (represented by Brad and Janet’s puzzlement following the bedroom scenes) that results when things go awry (e.g. getting a flat tire). “Rocky” for Tiny Fools who Quake with Fear by Alex Blaze. Lem, Stanlislaw. The Futurological Congress, trans. Michael Kandel (New York: Avon Books, 1974) pp. 96-102.